Dads are encouraged to attend SUPR classes with the mother of their children. Most classes are led by ladies, so we have added a special class by dads for dads. 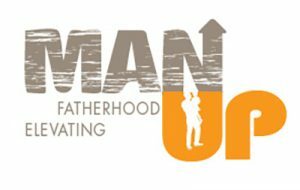 Our ManUp mentoring program encourages young fathers to learn from male mentors the great importance of fatherhood. Classes focus on personal character-building (being the kind of man you want your kids to become) and relationships, as well as practical parenting. Call 812-941-0872 to learn more. Check out the Adoption and Parenting resources available. If you choose parenting, we have a program led by dads for dad. 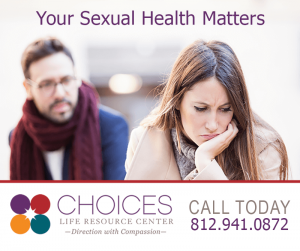 Call Choices Life Resource Center at 812-941-0872 (New Albany) or 812-572-4160 (Corydon) to schedule a free and confidential appointment (with or without her). Don’t bail. She needs you and you need to be a man. Running will only make the situation worse. CHOICES offers STD/STI screening and treatment for men and women in our New Albany office. Testing is free, but client may be responsible for lab fees. Call 812-941-0872 for a confidential consultation and appointment.